Overall, in the “decades” timeframe, the current Secular Bull Market could turn out to be among the shorter Secular Bull markets on record. This is because of the long-term valuation of the market. Which, after only eight years, has reached the upper end of its normal range. The long-term valuation of the market is commonly measured by the Cyclically Adjusted Price to Earnings ratio, or “CAPE”. This measureor smooths out shorter-term earnings swings to get a longer-term assessment of market valuation. A CAPE level of 30 is considered to be the upper end of the normal range, and the level at which further PE-ratio expansion comes to a halt (meaning that increases in market prices only occur in a general response to earnings increases, instead of rising “just because”). Of course, a “mania” could come along and drive prices higher – much higher, even – and for some years to come. Manias occur when valuation no longer seems to matter, and caution is thrown completely to the wind as buyers rush in to buy first and ask questions later. Two manias in the last century – the 1920’s “Roaring Twenties” and the 1990’s “Tech Bubble” – show that the sky is the limit when common sense is overcome by a blind desire to buy. But, of course, the piper must be paid and the following decade or two are spent in Secular Bear Markets, giving most or all the mania gains back. The US equity market posted a positive return, outperforming both non-US developed and emerging markets in the second quarter. Large cap value stocks underperformed large cap growth stocks in the US; however, small cap value stocks outperformed small cap growth. There was a positive size premium, as small cap stocks generally outperformed large cap stocks in the US. For International stocks, In US dollar terms, developed markets outside the US underperformed the US but outperformed emerging markets during the second quarter. Value underperformed growth in non-US developed markets across large and small cap stocks. In fixed income markets, interest rates increased in the US during the second quarter. The yield on the 5-year Treasury note rose 17 basis points (bps), ending at 2.73%. The yield on the 10-year T-note rose 11 bps to 2.85%. The 30-year Treasury bond yield climbed 1 bps to 2.98%. Short-term municipal bonds added 0.66%, while intermediate-term municipal bonds returned 0.81%. Revenue bonds performed in-line with general obligation bonds, returning 0.90% and 0.87%, respectively. After a blockbuster start to 2018, equity markets have been caught in a vicious circle of trading over the quarter’s last two months, with volatility and uncertainty taking center stage. While a combination of factors like solid earnings, upbeat economic data and new tax legislation have fueled some rallies, inflation fears, protectionist and anti-trade Trump policies, Washington turmoil and faster-than-expected interest rate hikes continue to weigh on equity market returns. The year started out strong for equities, however, by quarter’s-end the elongated period of rising share prices and low volatility finally ended. For the quarter, the Dow Jones Industrial Average posted a quarterly decline of more than 2.3%, snapping the longest streak of quarterly gains for the blue-chip average since an 11-quarter rally that ended in the third quarter of 1997. The S&P 500 index ended the quarter with a 1.2% quarterly fall, ending its long winning stretch that started in 2015. See see more of our Update click the link below to see the full article. The current shortage of real estate appraisers in many parts of the U.S. means real estate deals may take longer to close. According to the Appraisal Institute, the number of expert property evaluators has fallen by 20% since 2007. And its predicted there will be another 3% decline over the next 10 years. This may lead to less accurate appraisals by appraisers that need to cover unfamiliar states or localities. Ask about an appraiser’s experience in your area. Never agree to an automated appraisal without an expert actually looking at the property. 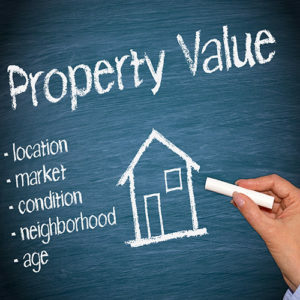 Software programs generate property values on comparable properties rather than by eyes-on evaluation. Ask your lender if there is a delay in your area. Is a 30-, 45-, or 60-day interest rate lock in sufficient and how much will it cost to get an extension if needed? If selling a home, ask your real estate agent how a delay will affect the purchase of a new home that is contingent on the sale of your old home first.